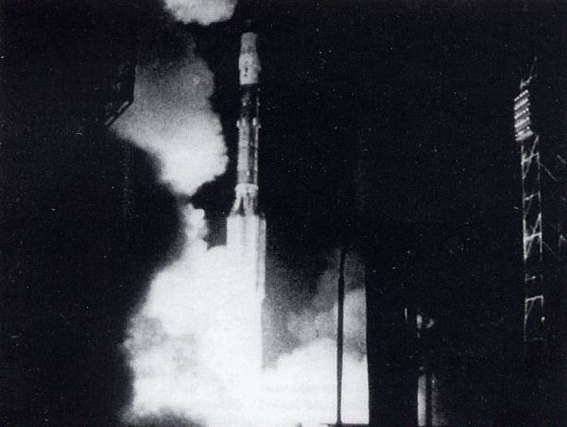 Mir DOS-7/Proton 8K82K launch at Baikonur Cosmodrome, Site 200, 21:28:23 UTC, 19 February 1986. 19 February 1986: The core module of the Mir space station (DOS-7) (Dolgovremennaya Orbitalnaya Stanziya) was launched from Site 200 of the Baikonur Cosmodrome aboard a Proton 8K82K rocket. This was the first section of the space station. It consisted of living quarters and environmental systems, engines, and four air locks to which additional modules would be attached. The Mir was unmanned when it was placed in low Earth orbit. 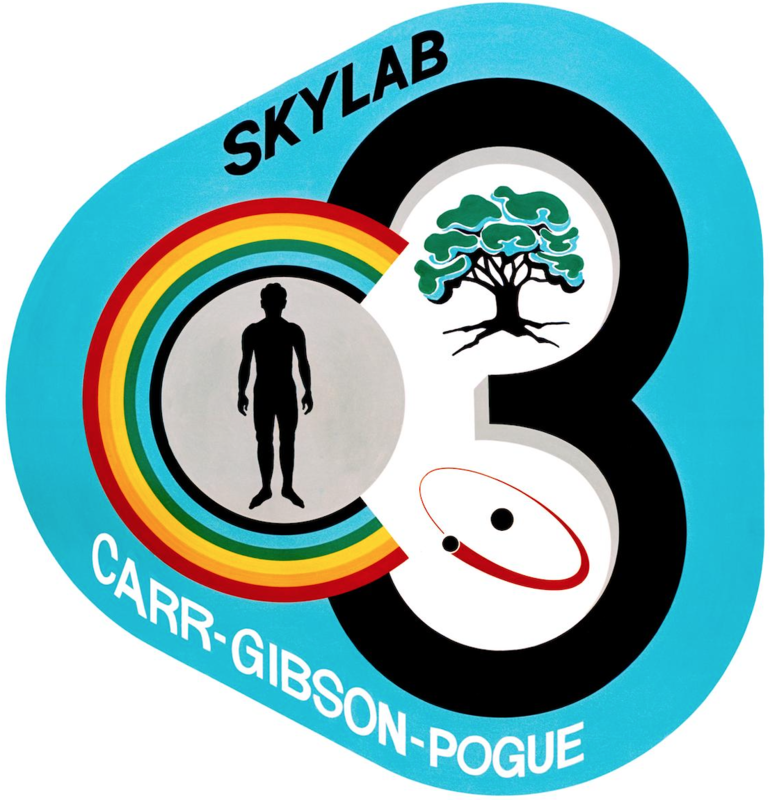 The first two-man crew arrived 15 March 1986 and began bringing the space station systems online. The first expedition stayed aboard for 51 days. 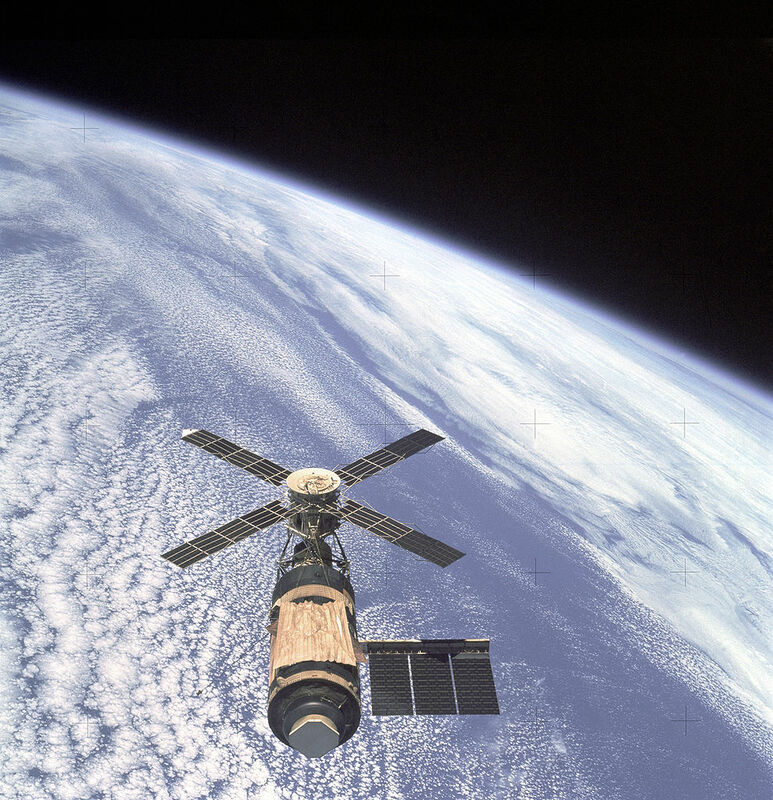 The Mir Core Module was 13.13 meters (43.077 feet) long with a diameter of 4.15 meters (13.616 feet). The solar arrays had a span of 20.73 meters (68.012 feet). The habitable volume of the module was 90 cubic meters (3,178 cubic feet). At launch it had a mass of 20,400 kilograms (44,974.3 pounds). The Proton 8K82K was a four-stage liquid-fueled heavy lift rocket. The first stage, Proton K-1, was 21.20 meters (69.554 feet) long with a diameter of 4.15 meters (13.616 feet). Fully fueled, it had a mass of 450,510 kilograms (993,205 pounds). It carried enough hypergolic fuel to power the six RD-253 engines for 124 seconds, producing 67,821.2 kiloNewtons (15,246,812 pounds) of thrust. The second stage, Proton K-2, was 14.00 meters (45.932 feet) long, with the same diameter as the first stage. 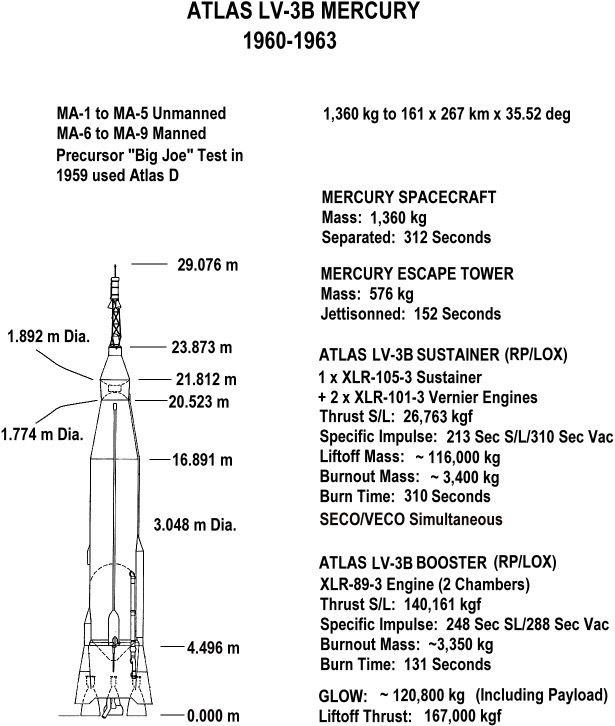 Its fully-fueled mass was 167,828 kilograms (369,997 pounds). Its four RD-0210 engines burned for 206 seconds, producing 9,596.8 kiloNewtons (2,157,447 pounds) of thrust. The Proton K-3 stage was 6.50 meters (21.326 feet) long, and again, had a diameter of 4.15 meters. The gross mass of the third stage was 50,747 kilograms (111,878 pounds). The single RD-0212 engine burned for 238 seconds, producing 630.2 kiloNewtons (141,675 pounds) of thrust. The final, fourth stage, Proton 11S824, was 5.50 meters (18.045 feet) long with a diameter of 3.70 meters (12.139 feet). Gross mass was 13,360 kilograms (29,454 pounds). 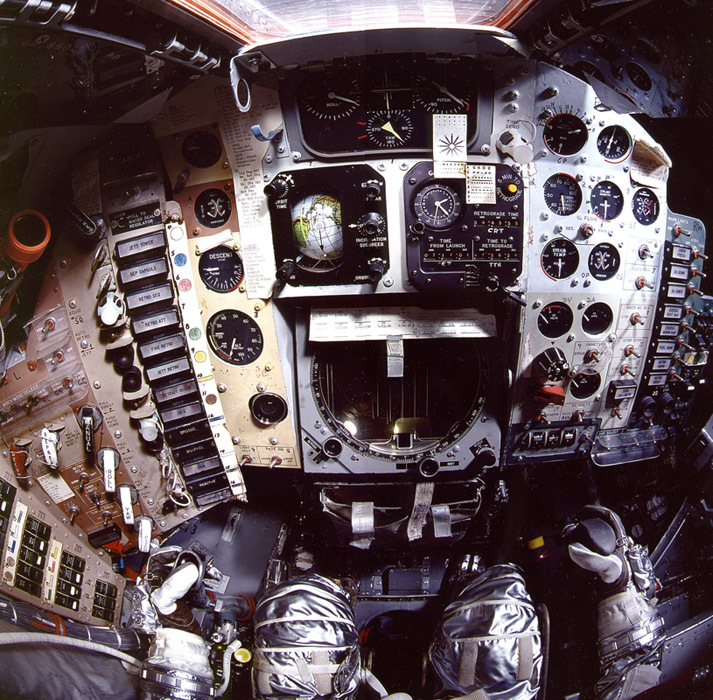 It had a single RD-58M engine which burned liquid oxygen and kerosene. It produced 85.02 kiloNewtons (19,113 pounds) of thrust for 610 seconds. The Proton 8K82K could place a 20,000 kilogram (44,092 pound) payload into low Earth orbit. 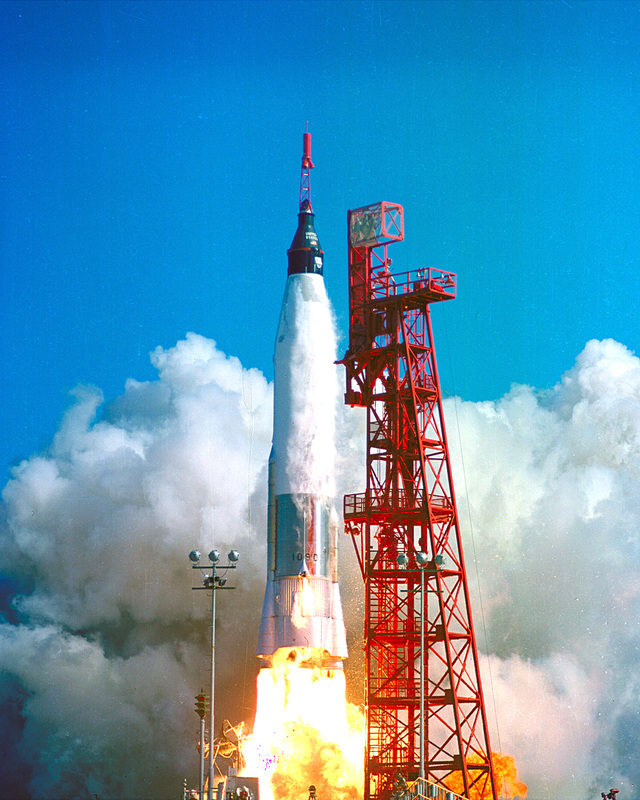 The rocket was first launched in 1965 and was used until 2003. More than 300 of them were launched. The Mir space station was continually expanded. It was occupied for 4,592 consecutive days. It remained in orbit until 23 March 2001. The Mir space station core module (DOS-7) in Earth orbit with solar panel array extended. 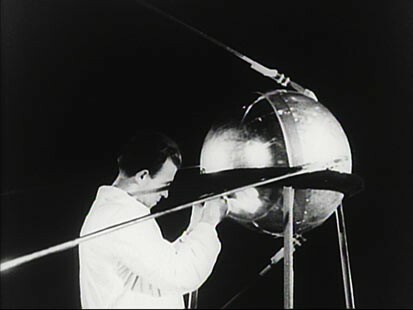 4 January 1958: After completing 1,440 orbits, Sputnik 1, the world’s first artificial satellite, reentered the Earth’s atmosphere and was destroyed. Простейший Спутник-1 (Sputnik 1, or Elementary Satellite 1) had been launched 4 October 1957 from Site No. 1 at the Scientific-Research Test Range No. 5, Tyuratam, Kazakh S.S.R. (now, Kazakhstan), aboard a two-stage Sputnik 8K71PS rocket, a variant of the R-7 Semyorka intercontinental ballistic missile. The satellite was designed at OKB-1 (the Special Design Bureau) by a team of Mikhail Stepanovich Khomyakov, Maksim Khramov and Oleg Genrikhovich Ivanovsky. It was constructed as a sphere with a diameter of 58.0 centimeters (22.84 inches), made from an aluminum alloy with a thickness of 2 millimeters (0.08 inch). The two halves were joined by 36 bolts and filled with pressurized nitrogen. Four “whip” antennas were equally spaced around the satellite’s shell, angled at 35° from the longitudinal axis. 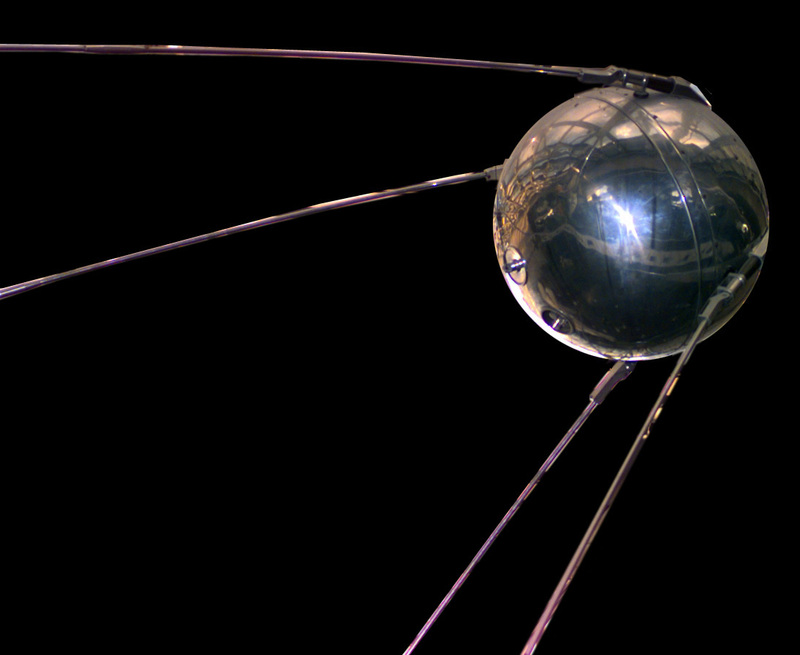 With three silver-zinc batteries and equipment, the Sputnik 1 mass was 83.6 kilograms (184.3 pounds). The satellite entered an elliptical Low Earth Orbit, with a perigee of 215.0 kilometers (133.6 miles) and apogee of 939.0 kilometers (583.5 miles). 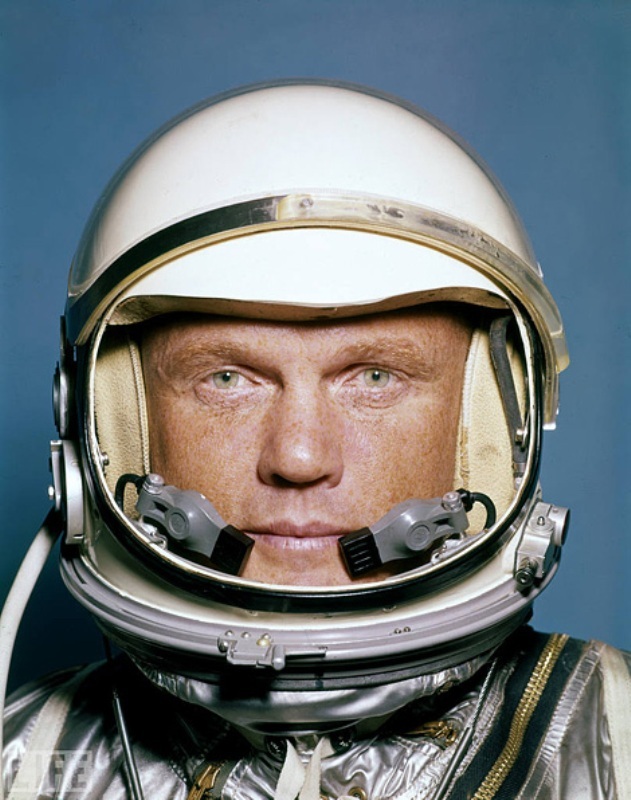 The duration of each orbit was 1 hour, 36 minutes, 12 seconds. The Sputnik 8K71PS launch vehicle, serial number 1 M1-PS, was a two-stage, liquid-fueled rocket based on the R-7 Semyorka intercontinental ballistic missile. 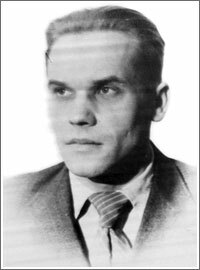 The R-7 rocket was designed by Sergei Pavlovich Korolev, known as The Chief Designer. It had a length of 29.167 meters (95.69 feet) and maximum diameter of 10.3 meters (33.79 feet) at the base, including stabilizers. Its mass was 267.13 tons (588,921 pounds) at liftoff. The propellant was Kerosene T-1 with liquid oxygen. The first stage consisted of four “strap-on” boosters surrounding the second, of “core” stage, each with an RD-107 four-chamber rocket engine, for a total thrust of 323.6 tons (713,409 pounds) of thrust. The first stage burn time was 120 seconds. The second stage (core) was powered by one RD-108 four-chamber engine, producing 93 tons (205,028 pounds) of thrust. Burn time for the second stage was 180 seconds. 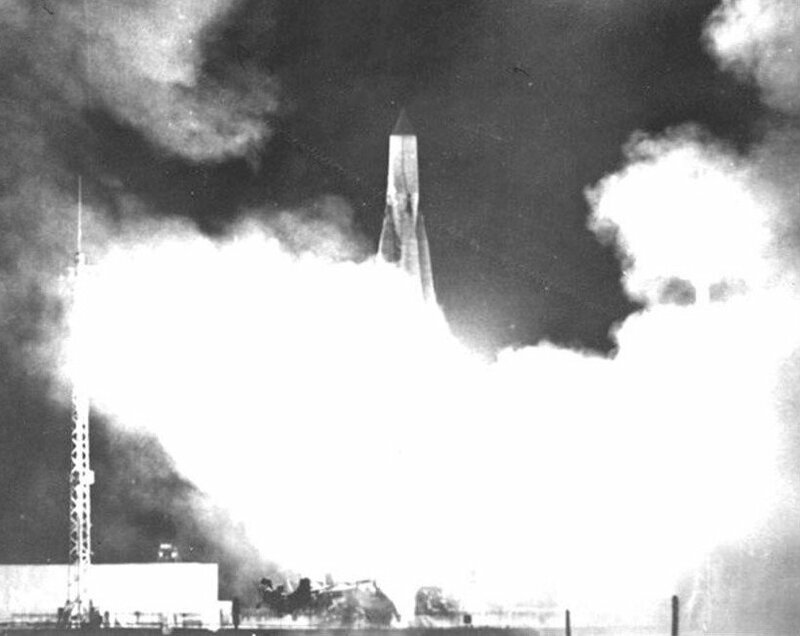 Sputnik 1 launched at 22:28:34 Moscow time. After 116.38 seconds, the stages separated. The second stage and satellite entered orbit 295.4 seconds after liftoff at an altitude of 228.6 kilometers (142.05 miles) and velocity of 7,780 meters per second (17,403.36 miles per hour). The satellite separated from the second stage 5 minutes, 14.5 seconds after launch. 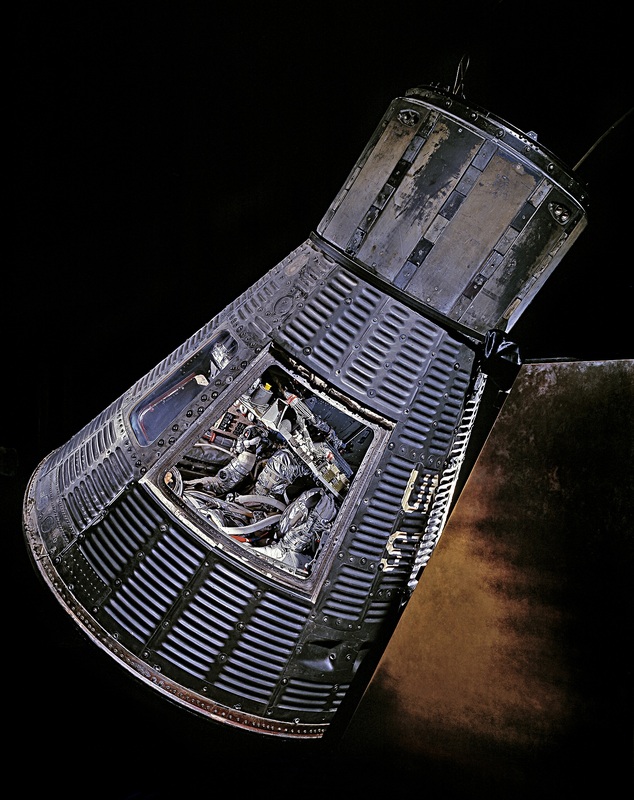 The second stage reentered the atmosphere 2 December 1957. 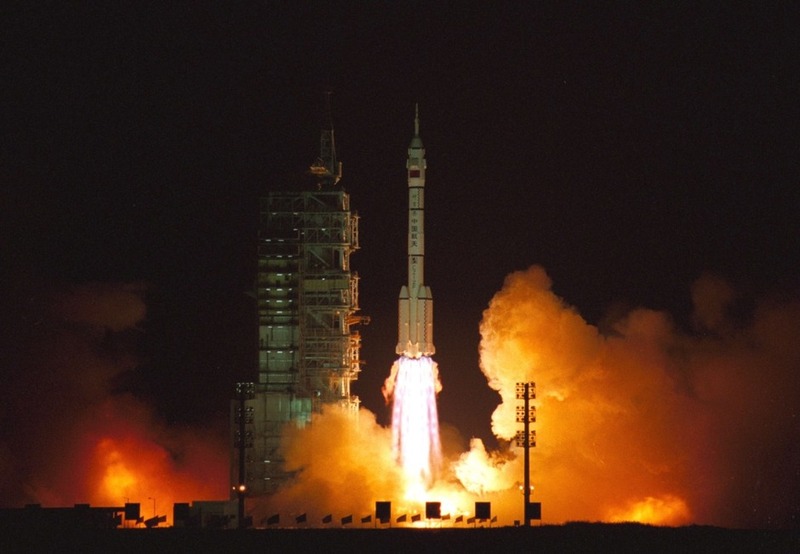 19 November 1999, 22:30 UTC (20 November, 6:30 a.m., CST): The China National Space Administration ( 国家航天局 ) launched 神舟一號 (Shenzhou 1), an unmanned Project 921-1 spacecraft, from the Jiuquan Satellite Launch Area aboard a 长征二号F火箭, (Changzheng or “Divine Arrow”) two-stage rocket. 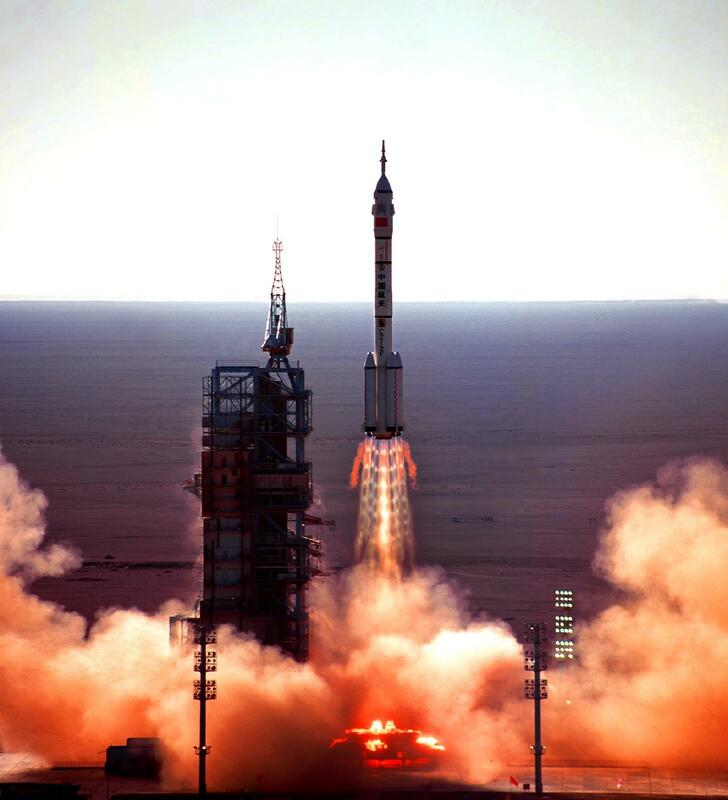 Shenzhou 1 was placed into a Low Earth Orbit ranging from 195 kilometers (121 miles) to 315 kilometers (196 miles). 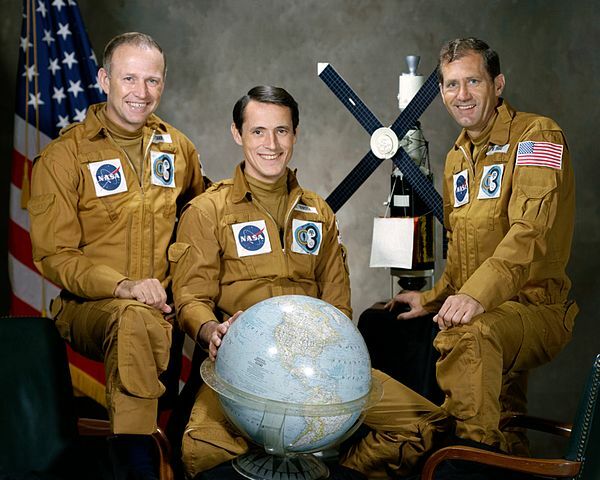 The vehicle completed 14 orbits. It successfully deorbited and reentered Earth’s atmosphere. The Shenzhou reentry module landed in Inner Mongolia, 20 November at 19:41 UTC. The duration of the flight was 21 hours, 11 minutes. The Shenzhou 1 spacecraft was not fully operational and it differed in several ways from the manned space vehicles that followed. 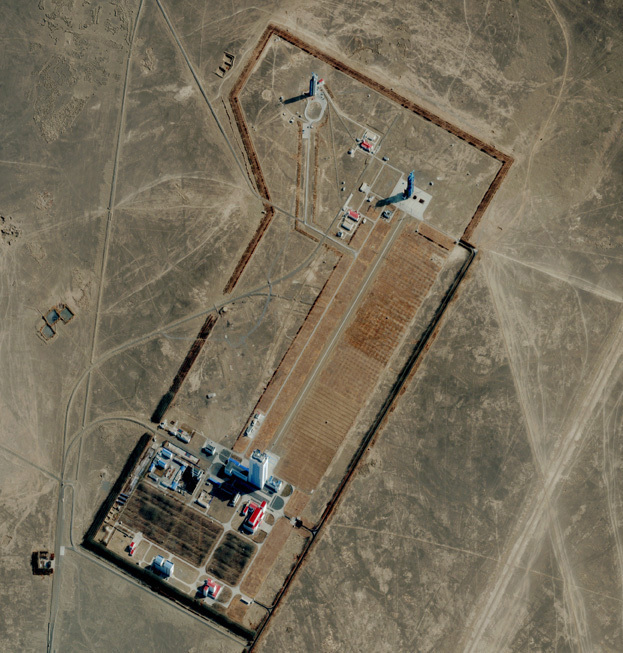 The primary purpose of this flight was a test of the man-rated Long March 2F rocket. The Shenzhou spacecraft is similar to the Russian Federation’s Soyuz from which it was developed, although it is larger. Shenzhou vehicles are 9.25 meters (30 feet, 4.2 inches) long and 2.80 meters (9 feet, 2.2 inches) in diameter. 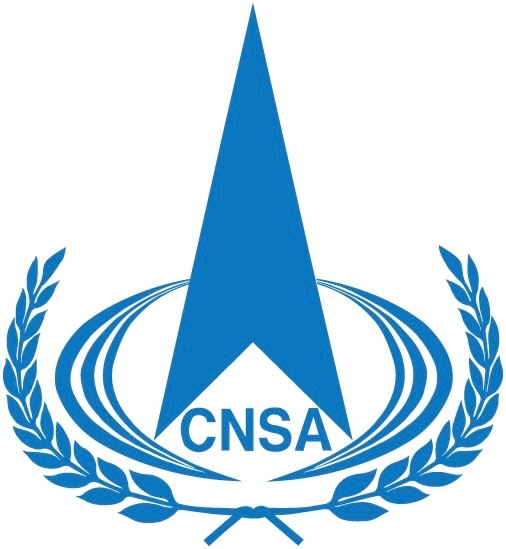 The spacecraft has a mass of 7,840 kilograms (17,284 pounds). There are three modules: the orbital module, reentry module and service module. The vehicle is designed for three people for flights of up to 20 days duration. The Changzheng is known as the Long March 2F in the West. It is a two-stage liquid-fueled rocket with external boosters. The first stage is 23.7 meters (77 feet, 9.6 inches) long with a diameter of 3.35 meters (10 feet, 11.9 inches). It is powered by four YF-20B engines (clustered as a YF-21B unit) which use hypergolic fuels. The four “strap-on” boosters use the same engines. The boosters are 15.6 meters (51 feet, 2.2 inches) long and 2.25 meters (7 feet, 4.6 inches) in diameter. With all eight engines running, the total rated thrust is 1,331,140 pounds (5,921.206 kilonewtons) at Sea Level. The boosters’ burn time is 2 minutes, 8 seconds, while the primary engines burn for 38 seconds longer. The second stage is 15.52 meters (50 feet, 11 inches) long and the same diameter as the first stage. It uses one YF-24B unit, consisting of one YF-22B and four YF-23B engines. The second stage uses the same hypergolic fuel as the first stage. This stage is rated at 177,240 pounds of thrust (788,403 kilonewtons) at Sea Level and burns for 5 minutes. The Long March 2F is capable of lifting a 8,400 kilograms (18,519 pounds) payload into Low Earth Orbit.